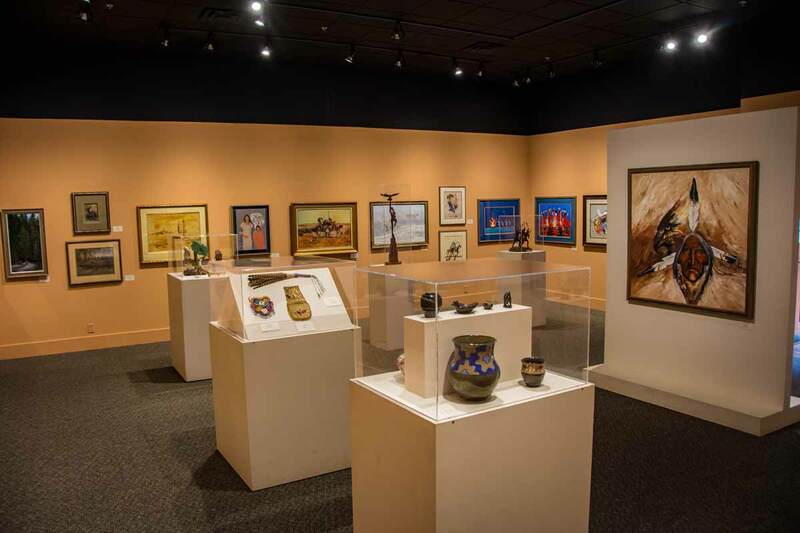 The exhibits in this gallery include paintings, sculptures and other creative works by Native American artists. All of these items were donated by Clarence and Margaret Rogers and are on permanent display. These works of art represent the talents of many people with a wide range of styles and subjects. 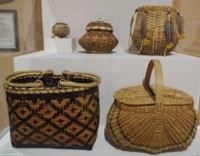 A majority of these works were created by descendants of the Southeastern Indians, many of whom now live west of the Mississippi due to the removal of their ancestors during the Trail of Tears in the 1800s. Two of the featured artist works in the gallery include the following artists whose paintings are included in tours of the Rogers Gallery. Robert "Bob" Annesley was born in Norman, OK and currently lives in Houston, TX. A poet, graphic artist, sculptor, painter and Indian historian, Bob is a member of the Cherokee tribe. He attended the University of Oklahoma and Oklahoma City University. Bob works in oil, acrylic, watercolor, pencil, pen & ink, pastel, goldpoint, silverpoint, bronze, terra-cotta and encaustic mixed-media. In high school, Bert Seabourn would hop a freight train or hitchhike from Purcell to Oklahoma City to visit the Oklahoma Museum of Art. He joined the Navy during the Korean War and although he lacked art training, the Navy put him to work as an illustrator. Bert began to explore his Indian heritage & incorporate it in his art. He is best known for combining images of birds & animals with the face of an old, wise medicine man, the keeper of the culture for all Indian tribes. He studied art at Oklahoma City University, the University of Oklahoma. This gallery is closed until further notice. A new exhibit explaining how the Cherokee people lived in this area between 1800 and 1838 when they were removed to the Oklahoma Indian Territory will be installed in 2018. Opening dates will be announced. 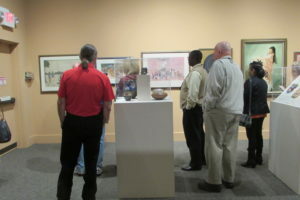 There will also be a display of western art in a section of this gallery.